Christina lives in the village of Siha, on the western slope of Mount Kilimanjaro. Though she is close to the mountain, it can be difficult to get to her village. The steep slopes and unpaved roads demand a cautious drive away from the nearest city and a little bit of climbing to get to her home. Because her village is in such a difficult location to access, the community aims to be largely self sustaining. Most residents are farmers who can grow food for themselves and their families. When they grow extra crops, farmers can sell them at the local market for a small income. This income, unreliable as it is, is the primary means of paying for all other living expenses, including housing, school fees, and medical expenses. The big problem came a few years ago, when there weren’t many extra crops. In fact, there were barely enough crops to provide food. Changing temperatures on Mount Kilimanjaro had melted much of its snow cap, and the runoff robbed the soil of its nutrients. Without healthy soil, food wouldn’t grow. The lack of food and extra crops meant there would be no income for Christina and her neighbors to survive. Plant With Purpose’s Tanzania team responded to the needs in Siha. This was one area where changes in the environment had inhibited the local population from eating and living well. 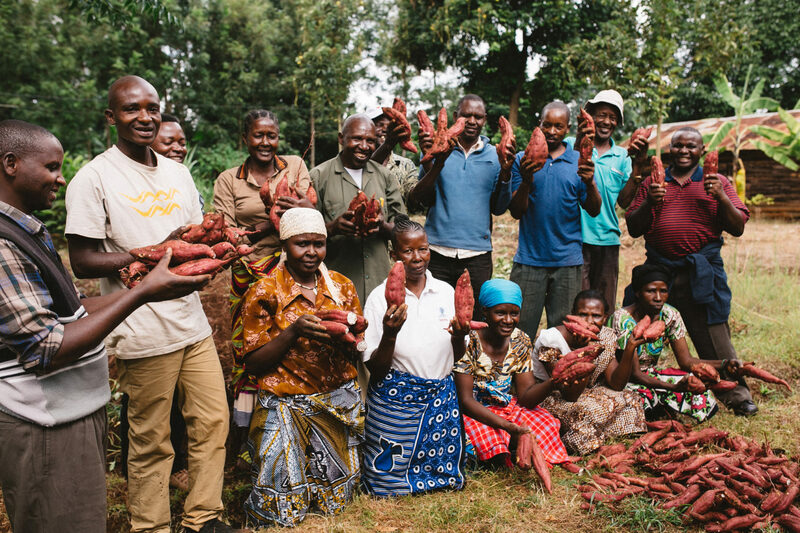 Working with locals, we sought to open farmer field schools, which are peer-to-peer learning opportunities for farmers to reverse the damage being done to their soil. They learned how to conserve soil by planting in rows and using barriers. They learned how to use organic materials and compost to increase the amount of crops that they were able to grow. They also planted hundreds of thousands of trees to protect the soil and to help stabilize the temperature around Mount Kilimanjaro. With this knowledge, Christina was able to be a key part of the solution. With her neighbors, she saw how the community could work together to solve one of the biggest problems it was facing. She decided, in good faith, to put into action the things she had learned. This decision paid off big. “I have noticed that the rains have started to return, as the land is restored,” she explained. When you meet Christina, one of the first things you’d likely notice about her is her smile and her joy. She warmly receives visitors in her home, which she has been able to make into a warm and inviting space. After growing more crops, Christina gained the ability to invest her money and take out a business loan. She combined that with her experience as a farmer and started a small enterprise. “I have a small business buying food in bulk and reselling it in the local market. It is still a struggle sometimes, but now I am doing much better,” she explains. Christina’s enthusiasm is similar to that of her neighbors. The community celebrates the land’s transformation. Her oldest child has now graduated from high school, giving Christina even more of a reason to smile. Plant With Purpose is excited to support farmers like Christina and her family. You can be part of the transformation too, in Siha and beyond! To learn how you can create this transformation at just $22 per month, learn about becoming a Purpose Partner!